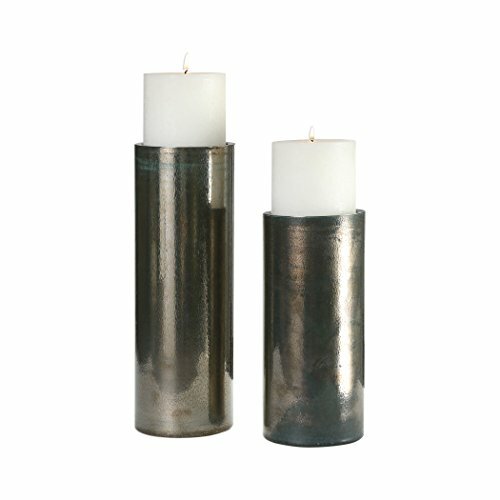 This gorgeous set of two Amala Iridescent Glass Pillar Candleholders will add an enchanting touch to your decor. The iridescent glass pillars feature beautiful shades of blues, greens, and bronze. Two 4"x 4" distressed white candles are included.